A James Organ-Simpson goal helped Fishburn Park to a draw with Boro Rangers in their opening game of the 2015/16 season. Park did not make the ideal start to their new Teesside League campaign, falling behind when Jamie Bellamy netted for the visitors. The hosts hit back when Organ-Simpson stepped up to fire home a free-kick which proved enough to earn his side a share of the spoils. Fishburn return to action on Saturday when they weclome Billingham FC to Broomfield Park, 2pm kick-off. 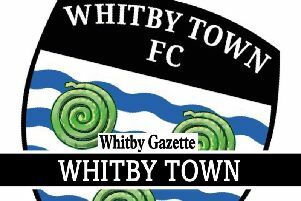 Full match report and pictures in Friday’s Gazette.